As mentioned in the previous blog post about the updated Mars technico 780C I want to show a few of the other new Staedtler products. 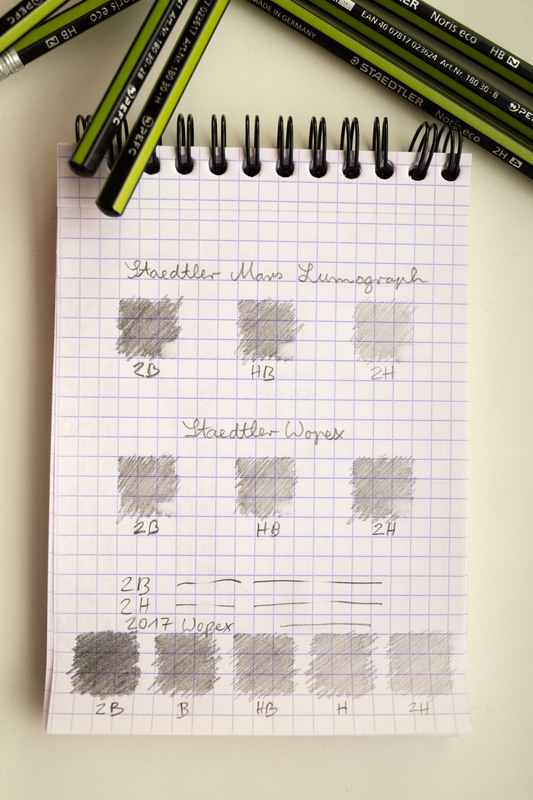 This is the second of two blog posts about Staedtler at Insights X 2016. 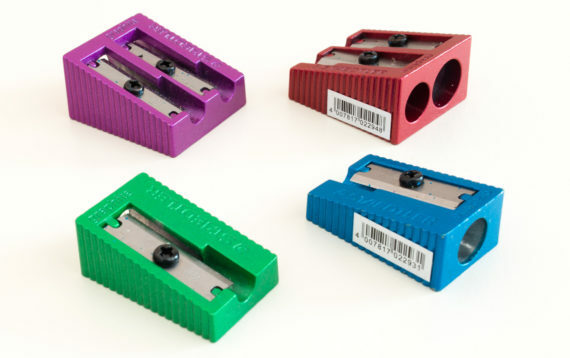 The well-known metal sharpeners 510 10 and 510 20 (double hole) are now also available in a range of metallic colours. 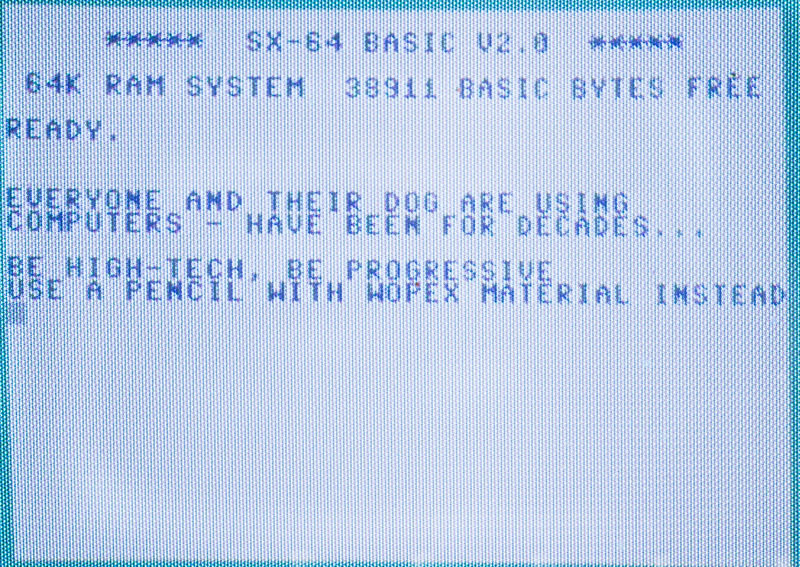 You can read about the golden anniversary edition in this blog post and about the change to the Wopex friendly version in this blog post. 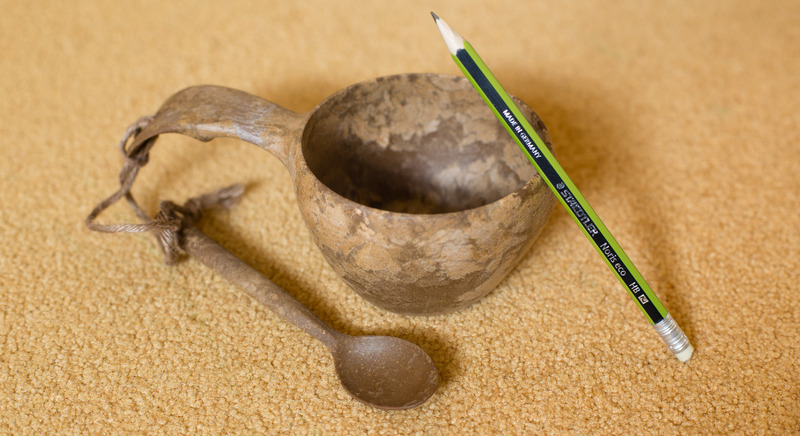 I think these sharpeners should be available any day now. 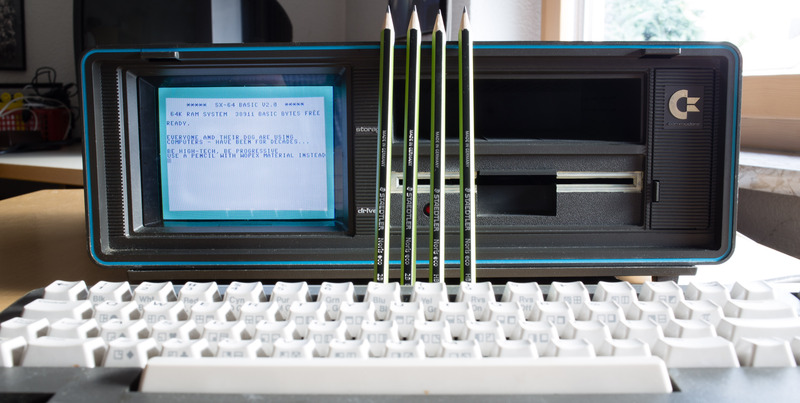 I am not sure about the price but assume it won’t be very different to the existing 510 sharpeners. Zipped pencil cases, like the leather one shown here or the very affordable one shown here, are very common in continental Europe. 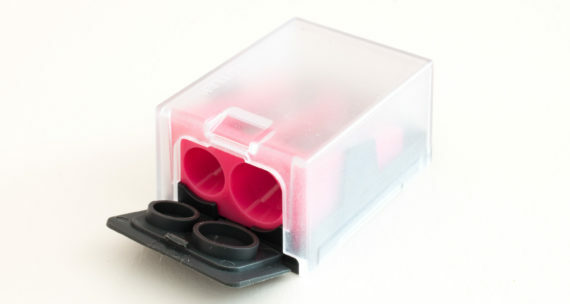 The problem though is that the sharpeners that fit in these cases tend to make a mess as they don’t have a container. You obviously don’t sharpen over your pencil case, but a bit of graphite will still stick to the sharpener and ‘pollute’ the pencil case over time. 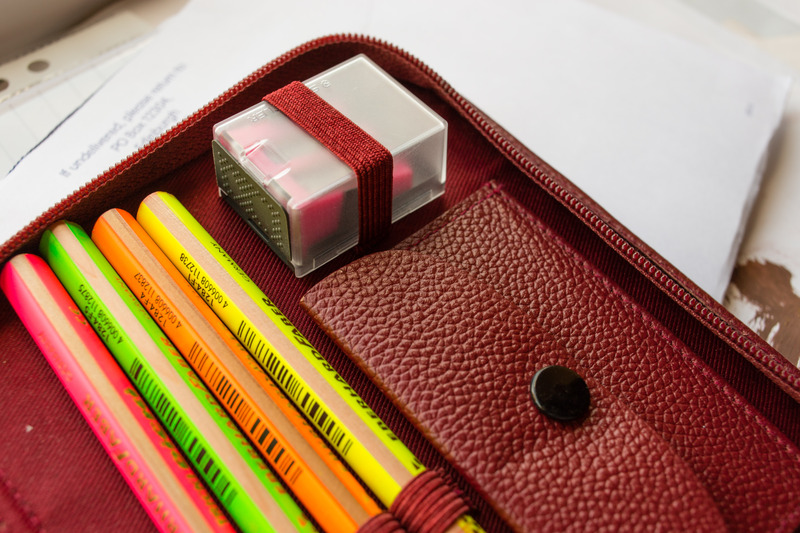 The new plastic sharpeners aim at solving this problem by also closing the holes of the sharpeners while trying to keep the size to a minimum so that it still fits into these pencil cases. 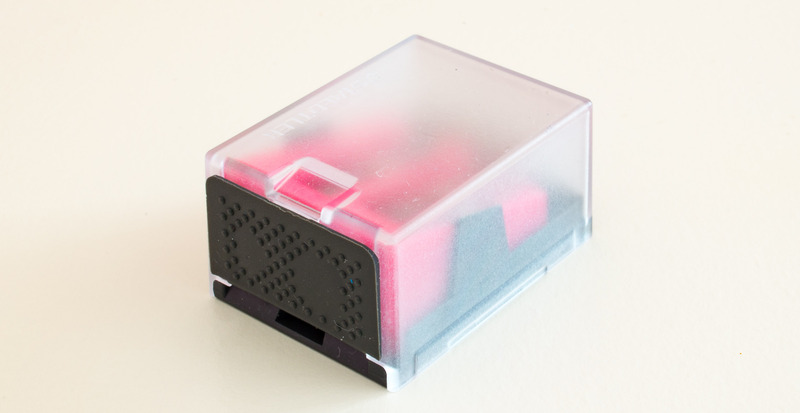 This new sharpener, 512 60C, should be available from January 2017 for €1.80 (~$1.95; £1.60). convey the idea of colour through a special paint. 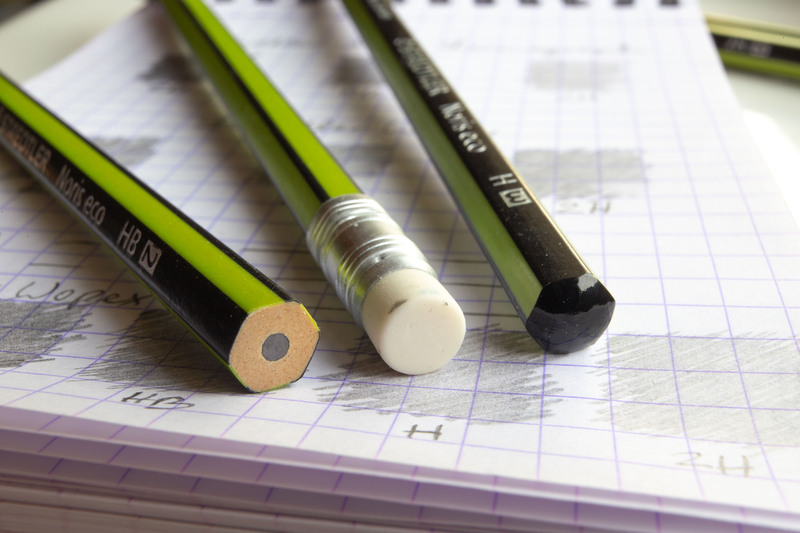 Well, unfortunately, I forgot to take a photo of these compasses when I was at the Staedtler stand. Sorry. 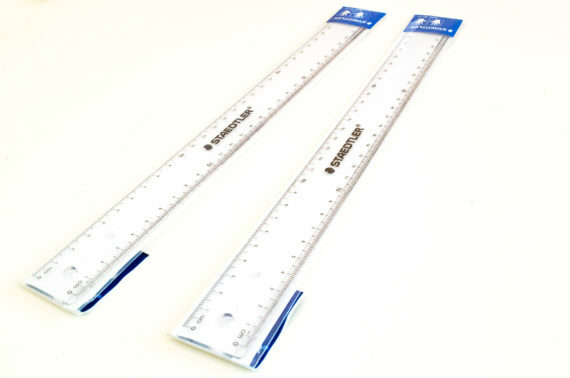 I was only able to take a photo of the 30cm rulers for right and left handed use, article number 562 300 PB, but there is also a set of two 15cm rulers and a geometry set (set square, ..) for right and left handed use. The rulers will sell for €1 (~$1.10; 90p), the geometry set for €2 (~$2.20; £1.80). Well, of course, I saved the best till last. 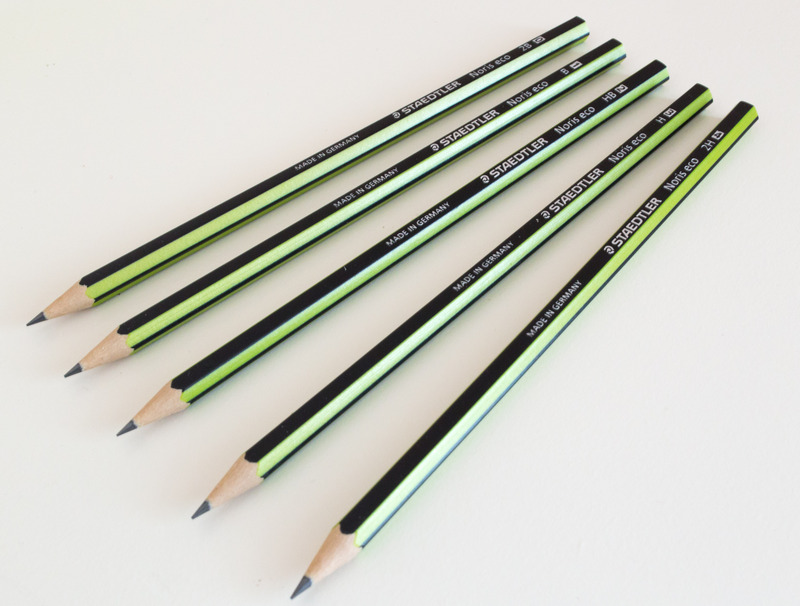 We’re finally getting some pencils made from Wopex material in different grades! 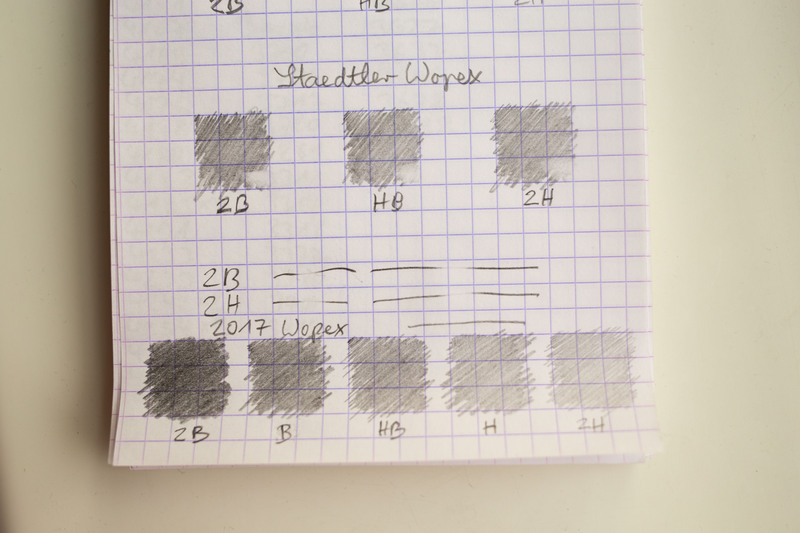 You might remember that, despite being a fan of the Wopex, for example, because it doesn’t exhibit graphite transfer issues like other pencils, I was quite disappointed with the previous 2B and 2H Wopex – just because there was virtually no difference between the different grades. The good news is that the new version of the Noris eco, available in five grades, seems to have solved this issue. I believe that they are still working on improving the ‘lead recipe’ even further, but the new grades will be available early next year. 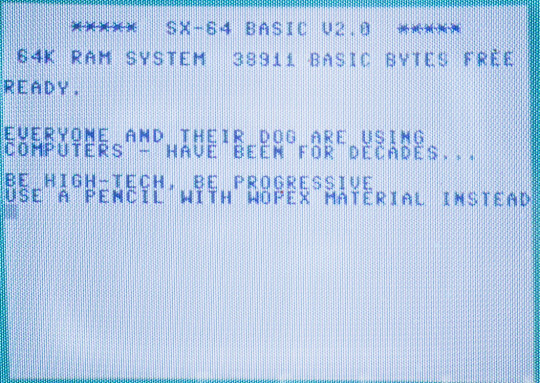 The name Wopex is now being used for the material, not for the pencils, so for now I refer to the Noris eco etc as pencils with Wopex material.